Billed as the most fuel efficient luxury car in the US, the CT200h is the latest in a line of interminably named, but generally fine automobiles from Toyota’s luxury division. It is currently Lexus’ only hatchback (if you don’t count their myriad SUVs, which I don’t), and in my opinion, their best looking offering. With the exception of an oddly-styled C-pillar – that instead of making the car look like a 3-door coupe, makes it look strangely rear-heavy – the CT is a very nice looking car. 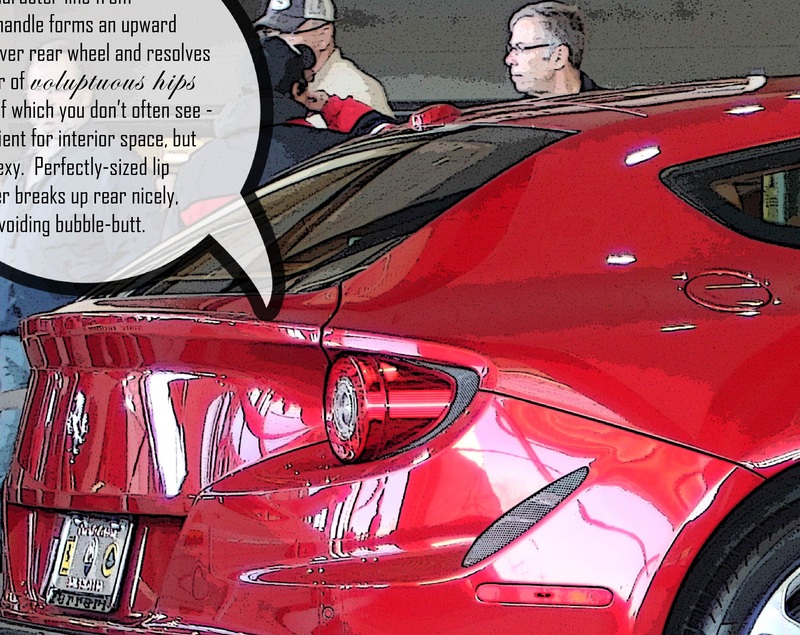 It does have some of the tiresome current styling memes such as poor rearward visibility, the high beltline and appendage-y looking stalk-mounted door mirrors, but all-in-all, it is a refined, clean and handsome design. It also wore the best looking set of wheels at the 2012 Utah International Auto Expo. I’m sure that Ferrari would love to have you believe that their new FF is a shooting brake – a fancy name for a two-door station wagon – but let’s be honest, this new ride from Maranello is a hatchback. The first in a regular series – a quick-strike overview of some of the design features of a particular car. 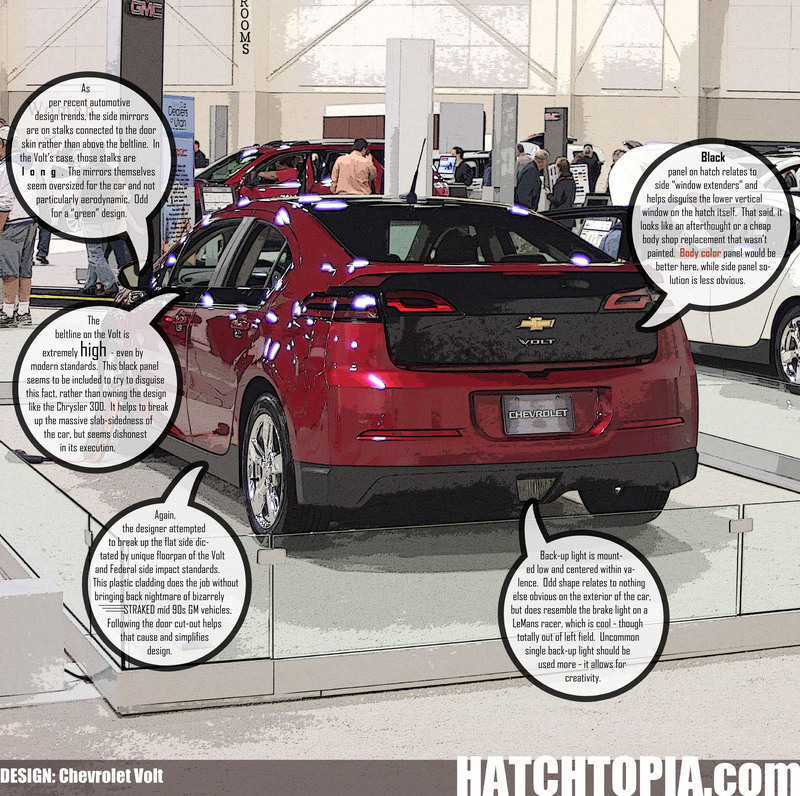 This week, the Chevrolet Volt, a new hybrid car from General Motors. The Volt has been significantly hyped in the media, winning the 2011 Motor Trend Car of the Year award. Does the design live up to the hype? Will it stand the test of time? Take a look and share your thoughts on the Chevrolet Volt in the comments below.